Is Renting Better Than Buying if You're Newlyweds? Is Renting Better Than Buying if You’re Newlyweds? There are nearly 61 million married couples living in the United States. And, for many of those couples, buying a house is part of the American Dream. But is renting better than buying, especially for newlyweds? The answer may surprise you. The housing market alone is confusing these days. It’s a good news / bad news story with affordability slipping, inventory declining while interest rates and housing prices rise. Don’t let the stress of trying to navigate the real estate market ruin your first days of marriage. Fear of missing out can rush couples into a bad investment decision. You’ll never get these newlywed years back. It’s important to enjoy them! Here are just a few reasons why starting your marriage out in a new apartment is best. If you’re a newlywed or planning a wedding you already know that getting married can be stressful. For many of us, the day of the event is the one moment of calm in a long period of scheduling and planning. Adding in the stress of mortgage brokers, real estate agents, lawyers, and bidding wars isn’t necessary. Renting is a much less stressful choice. Take a deep breath and enjoy being married before tackling your next project! Buying versus renting isn’t just a hard choice for newlyweds these days. With interest rates on the rise and an uncertain economy, many aren’t sure what the future holds. Renting is often the less expensive choice. Those first few years of marriage can be tough when it comes to finances. Renting is far more predictable. You don’t have to worry about repairs or fluctuations to the interest rates. You just made it official. You married the person you want to spend the rest of your life with. Are you ready to decide on the house you want to spend the rest of your life in at the same time? Renting is flexible. As your space needs change you can upgrade. Money is often tight for newlyweds. This can lead to rushed real estate decisions when it comes to buying. You might buy a house you can’t truly afford. You also might buy a house that doesn’t have everything you want. Rather than settling for less, or adding financial stress, renting allows more amenities for newlyweds. 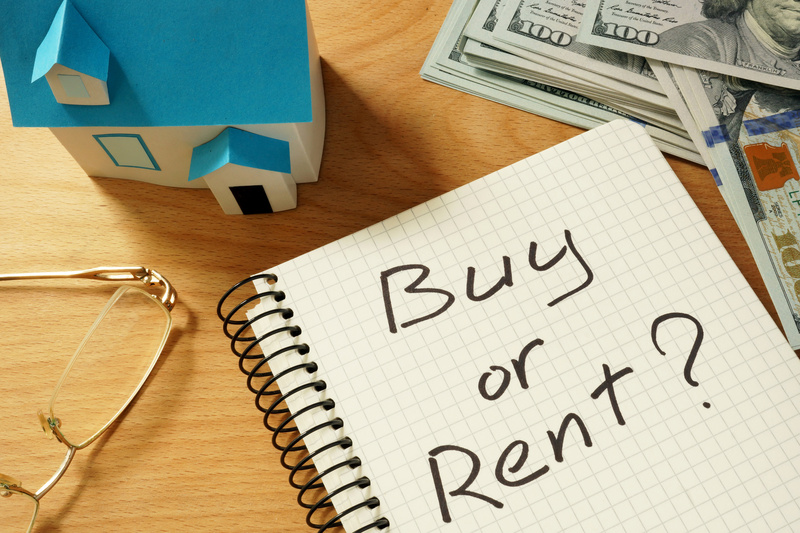 Is Renting Better Than Buying? It Is At Willow Creek Crossing! Fort Wayne residents know how easy renting can be if they’ve been to Willow Creek Crossing. Our tenants love Willow Creek Crossing because of our beautiful apartments and great amenities. Located in Southwest Fort Wayne, Willow Creek Crossing Apartments is minutes from shopping, dining, entertainment, and work.